Getting the svelte beach body has a cultish following in Miami, and now you can get there more naturally and happily ever after. If Las Vegas had a beach it would probably look like South Beach. This long strip of pure sand washed by a pristine Caribbean-blue ocean is to Miami what Leblon is to Rio de Janeiro. 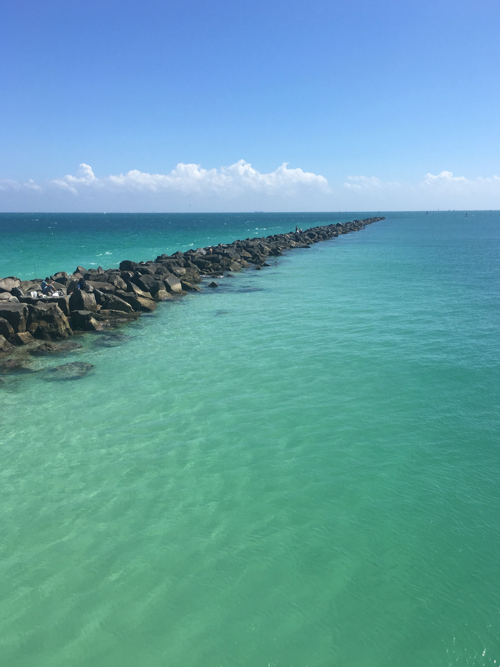 At Miami Beach, nature persuasively encourages to rejuvenating one’s soul and get the body feelin’ good. 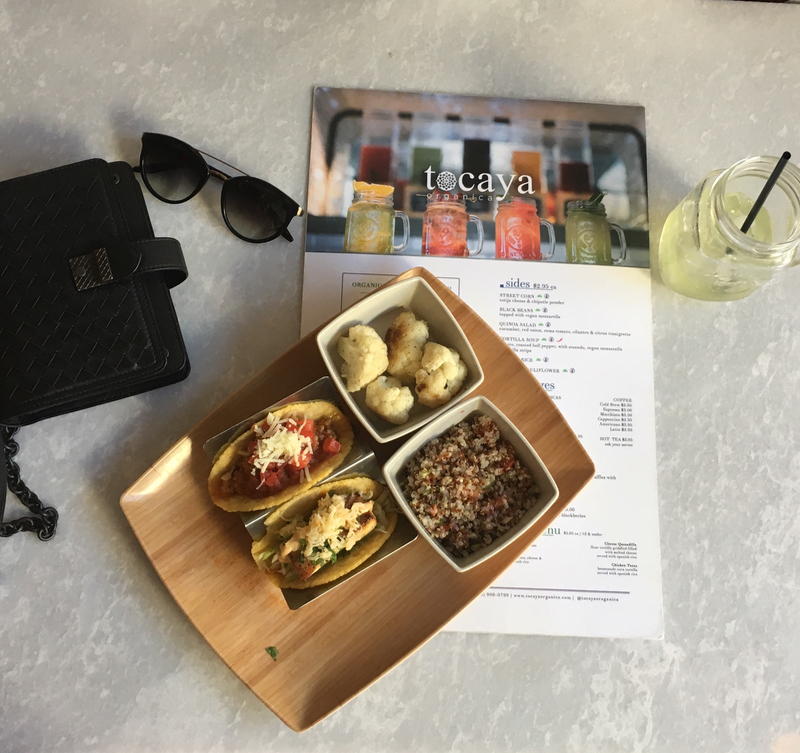 Yet, there is more luxurious or rustic chic pampering at the Miami Beach spas, yoga rooms, healthy organic cafes, plant-based restaurants, creative, locally-sourcing juice bars and well-portioned taco eateries. On my recent trip I tested my old favourites, discovered new places and harmonised my well-being before embarking for New York. 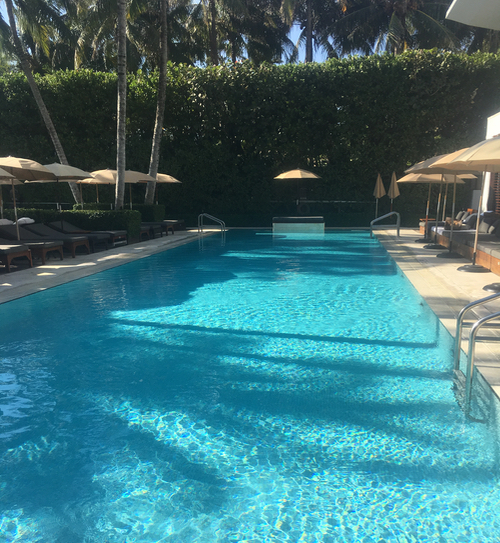 Here are my healthful tips for your next trip to the tropical Miami. Getting the svelte beach body has a cultish following in Miami, and now you can get there more naturally and happily ever after. Beyond the noisy and with sweat-soaked gyms, anger-releasing boxing rings, and mindless, repetitions-counting classes, there are yoga studios, core-building pilates groups, and above all the seasonally appealing well-curated spaces on the beach, where you can sun-salute, push up, jump, dip in, roll and twist as much as you desire. Just get there before the heat of the summer and the tropical humidity crawl in to spoil the pure joy from the outdoors. 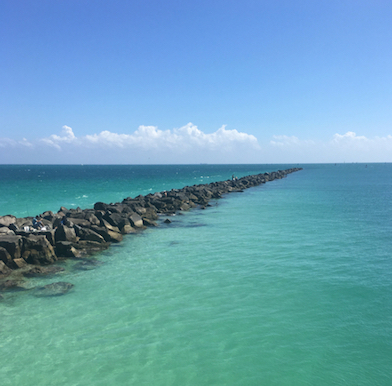 Before the morning bells chime nine or after five ticks off the afternoon between December and April, savouring the outdoor activities out on the Miami beach gets you elated. Scoop a handful of the fine-milled natural scrub and rub it over your feet, shedding any dead skin, that accumulated over time. 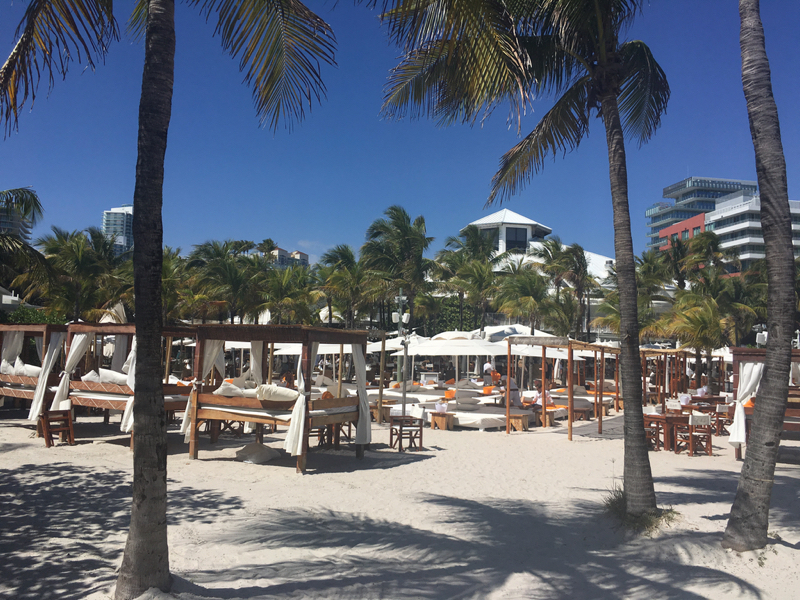 These are the sweet spots for the Miami beach joy. 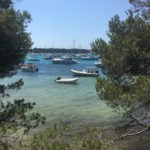 First, if you still want to party, start in the afternoon at the swish Niki Beach, sip on freshly squeezed juices, no need for champagne, just great music and swing your body right to left, up and down and around. In that heat who wants one’s head to turn around like a merry go round? Me not, so skip that booze and dance like a muse. Whether you stay at your house, apartment, at a rented holiday retreat or one of the ultra luxe hotels like the art and design rooted Faena or the South Asia chic Setai, you will not be excluded from any of the kicks of healthy lifestyle that the locals eagerly share. 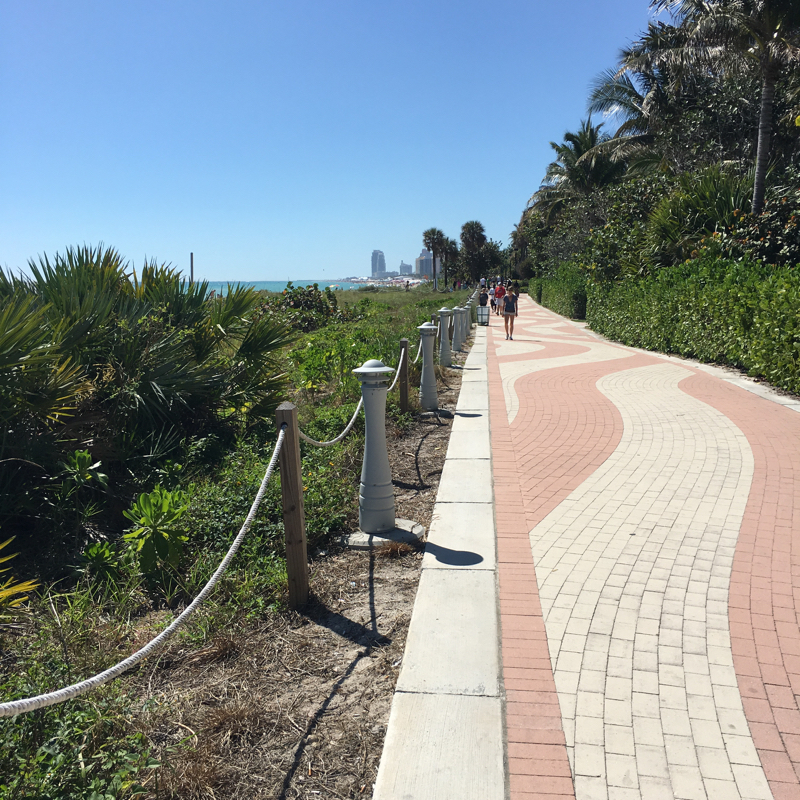 Alongside the beaches there are crossings of creative outdoor workout stations scattered all over the Lummus park, plus when the air cools a bit, there are public tennis courts, swimming pool, baseball and soccer fields right in the middle of South Beach at the Flamingo Park. There are so many places to stay, but for well-being the only requisite needed is a well functioning, not too noisy air conditioner. The rest is on the beach. The North Atlantic ocean washing its shores is quite chilly for swimming, but the surfers zigzag the waves and the windsurfers fly like birds lost in a hurricane, flipping seemingly haphazardly on the numerous breezy days. Most of them know their stuff, they have been training for years, so you go out there only when the cost guards raise green the flags. More info on the US lifeguard flags here. If your room is tight to roll out a yoga mat or the online yoga apps get too worn out, turn off the yogi autopilot, be more social and join the local ohm tribes gathering at Synergy yoga. 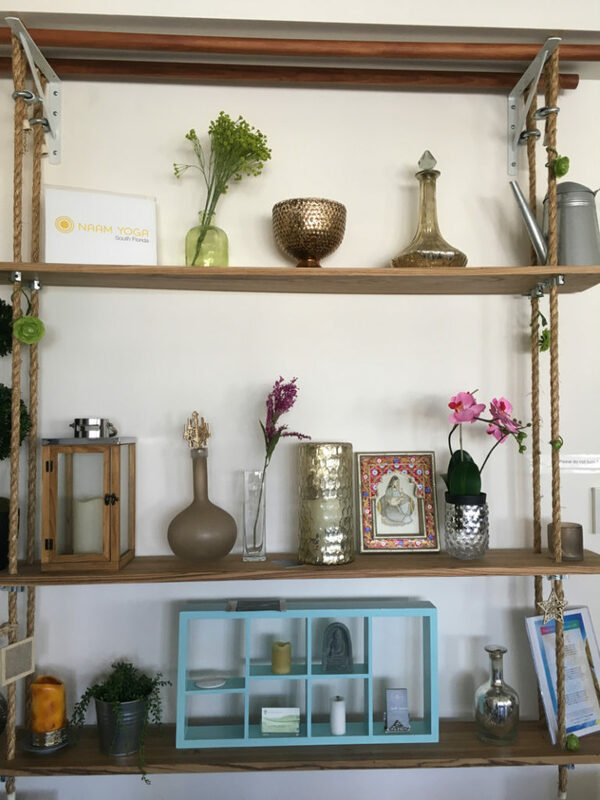 This is the oldest yoga studio in South Beach, and comes with a warning as Synergy relishes in the naturally hot, humid and quite crowded classes. Really immersive stuff, like in India. The sharp, Jivamukti trained Brazilian teacher Victoria now directs the yoga teachers’ program at Synergy, and plays the accordion while chanting at the end of each class (drop-in $23 + $2 mat). I love the view from the small studio. As the sun sets, the heads of the palms cast mysterious shadows, a meditative and grounding sight while holding challenging balancing asanas. 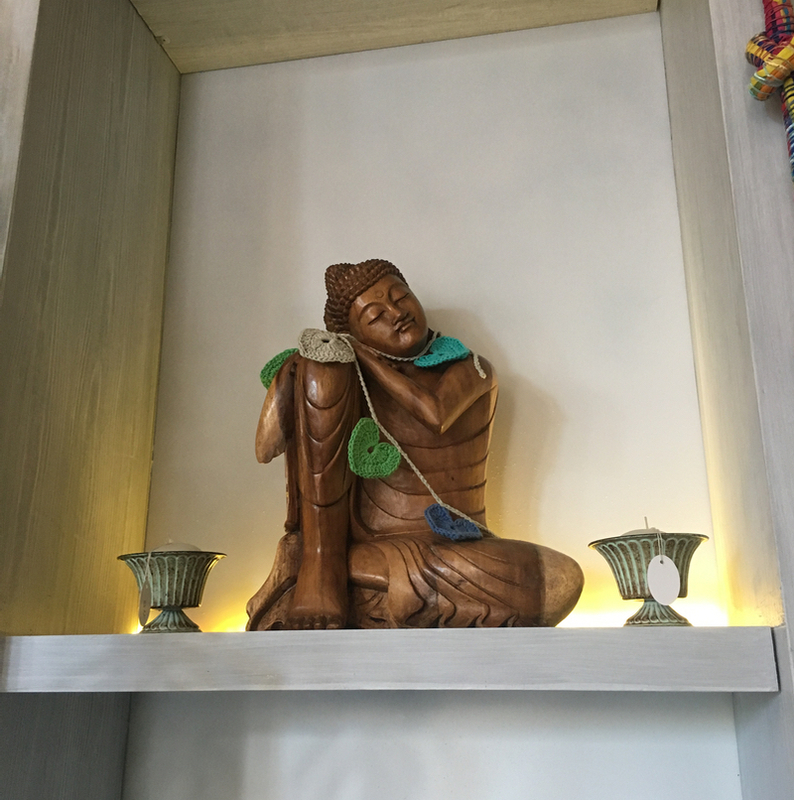 The Green Monkey Yoga has a cleaner and leaner feel, and their unlimited week pass for $89 will motivate you to come as much as you can to get most of it. Wheeling on a rented city bicycle (available throughout the beach strip) through the Venetian Highway and breaking at the Belle Isle lands you at the hip Standard Hotel. Founded on the core of wellness, there are yoga classes, a juice shop, Roman waterfall hot tub, Arctic plunge pool, mud lounge wraps, hydrotherapy pools and even a swing lounge (hammocks) so envelop yourself in the tropical gardens, the outdoor spa and the rooftop pool at the Standard. Here, plenty of cool looking youthful faces tan their bodies before realising that the sun will give them wrinkles. Get a hat or sit under a large umbrella, since for your daily dose of Vitamin D, you need only about 15 minutes on a direct sun (as my GP advises). For ultimate luxury head to the newest spa, the Tierra Santa Healing House at the Faena hotel, that fuses luxury with a hip fix in the swing of Le Club 55, St. Tropez or La Huella in Punta del Este. Surrounded by handmade embroidery, colourful South American naturally dyed pillows, cosy blankets, body-wrapping shawls, you may be seduced to buying one of their pricy boutique trinkets. I got a Tibetan sound bowl there, so from now I can carry the meditative state of mind back to Europe with me. The wet spa is the most complete in town – inclusive of an eucalyptus and peppermint infused steam (hamam), a large marbled teppidarium for socialising, cooling in a claustrophobic ice room, lounging on a warm marble platform, and more. Before the wet spa ritual soaping with a sliver of an organic soap that you slice into your own copper bowl and rinsing all the beach dirt, toxins, and any anxiety away under any of the waterfall simulating showers, can change your day. This is just a start though. An organic, hand-crafted range of muds, scrubs and oils is used in some body rituals and hydrotherapy. I totally surrendered into my masseuse’s hands during the Flor Blanca massage, long strokes incorporating Swedish style remedy. Tiera Santa facials use the concentrated natural products by Biologique Recherché and can be customised as you like. My skin was hydrated, plump, and glowing for hours after my hyper customised 80min facial. Once per week, a cosmetic dermatologist is available for a consultation. 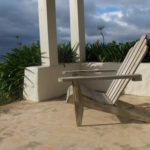 Weren’t it raining, I could freely lounge on the beach chairs as my treatments exceeded 80min. 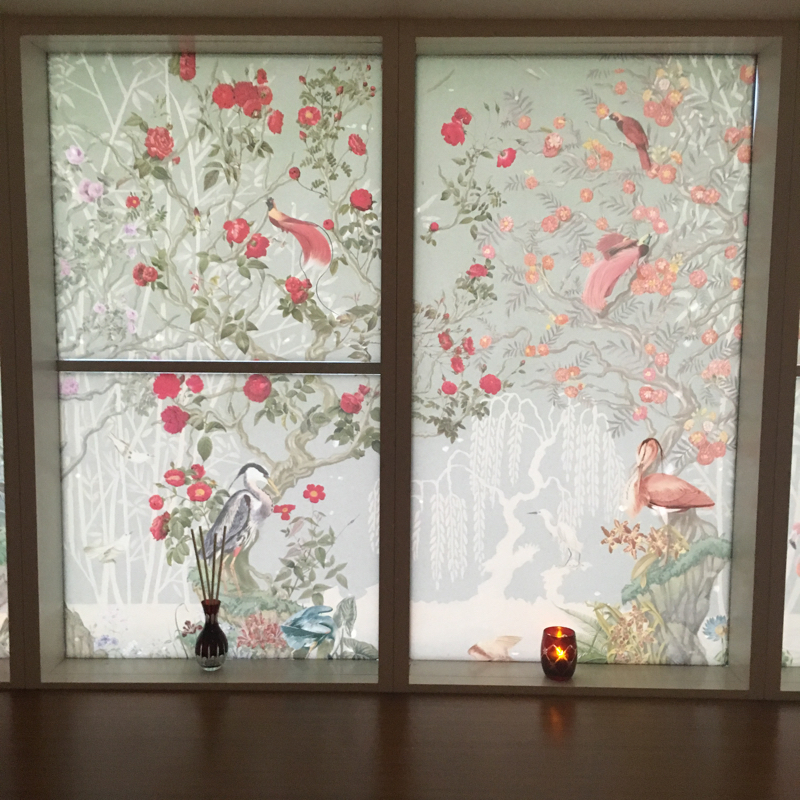 Complete with hair and nail salons, it is easy to freshen your outward beauty at Faena. The spa at the well-established Asian dark wood and elaborate artworks decorated Setai hotel employs top level therapists. Although quite small, each spa suite offers soothing views of the three long palms lined swimming pools (each with a different water temperature, I like to swim in the middle medium warm one), and a sunset vista if you hit the right appointment time. 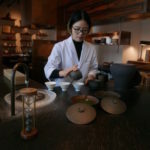 Eastern philosophies fuse on the treatment menu here. A foot reflexology can be as strong as you would get from any serious needly-fingered foot therapist in China and Hong Kong. The more up-beat, inland canals facing Croydon Hotel offers a more discreet form of rejuvenation. On the top its boutique Ayurvedic Spa heals those who do not like to crowd with too many people lounging around as it happens at the Standard. 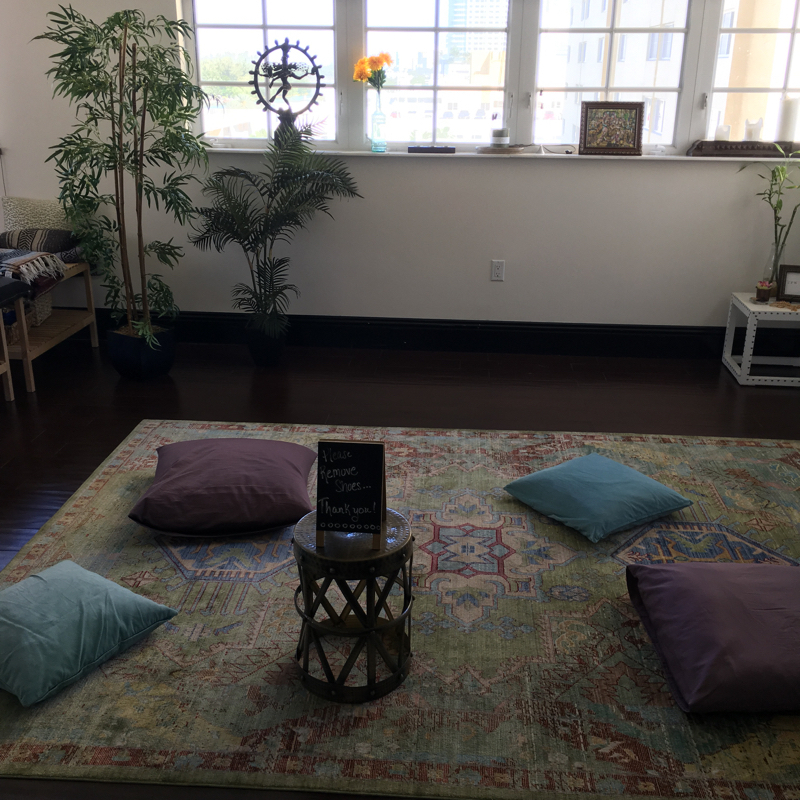 Saturday morning yoga (10am, sign in ahead) accommodates four yogis inside a homy room and if the weather permits, the rooftop will host a larger class. 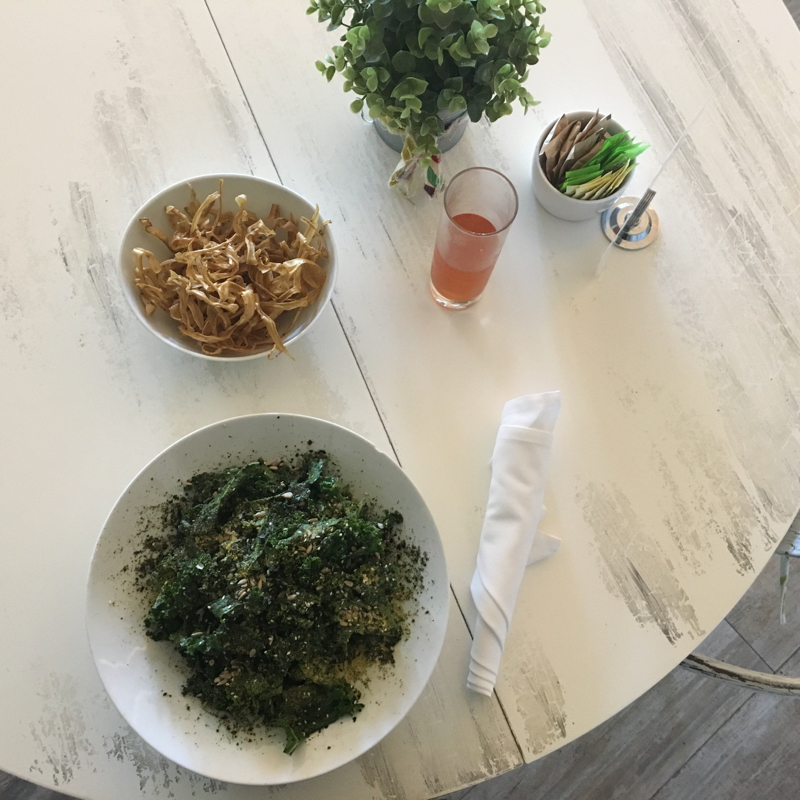 To rejuvenate on the hip Miami beach, you won’t need to try hard since there is an abundance of local, organic and quite nutritionally balanced plant-based food to peck on. PURA VIDA Starting a day with a cleansing shot of freshly squeezed wheatgrass with ginger and lemon will get your bowels moving and alkalises. Then after your morning run, yoga, beach stretch or swim go back for a proper refuelling organic breakfast at Pura Vida. Take your time, since the almond milk chia parfait, bagels, eggs all ways, oat meal as well as the trendy acai and dragon fruit-based raw bowls with cramps-preventing banana, fresh seasonal fruit, coconut flakes and granola are all served all day long. Beware that these wholesome bowls and smoothies hide some 600 calories in one serving! Get active and you will feel the positive vibrations of these zen foods. Locally sourced as much as possible, organic and most of it also delicious, Pura Vida can also set you for a picnic on the beach. To take out, the superb guac & chips, with their own gluten-sparing multigrain chips, the hummus with toasted wholewheat pita, or a combo of both with veggie sticks are great to share. My favourite salad there is the SOBE of marinated artichoke, greens, chopped ripe mango, roasted red pepper, alfalfa and shaved almonds with a side (great for take-out so it does not get soggy) ginger and nut dressing. I was not that keen on their wraps, and some smoothies are more of a meal, except for the Super Greens with the only added sweetness of pineapple and honey, and the Acai Goes Wild, that is more berry-fresh, than banana and nut butter heavy. Get your probiotics, and grab a bottle of Health Ade Kombucha stacked in their fridge in a few flavours. JUGOFRESH If you just crave a quick acai bowl or a zillion”superfood” add-ons loaded smoothie on the go pop over to the Jugofresh juice bar inside the Wholefoods market. 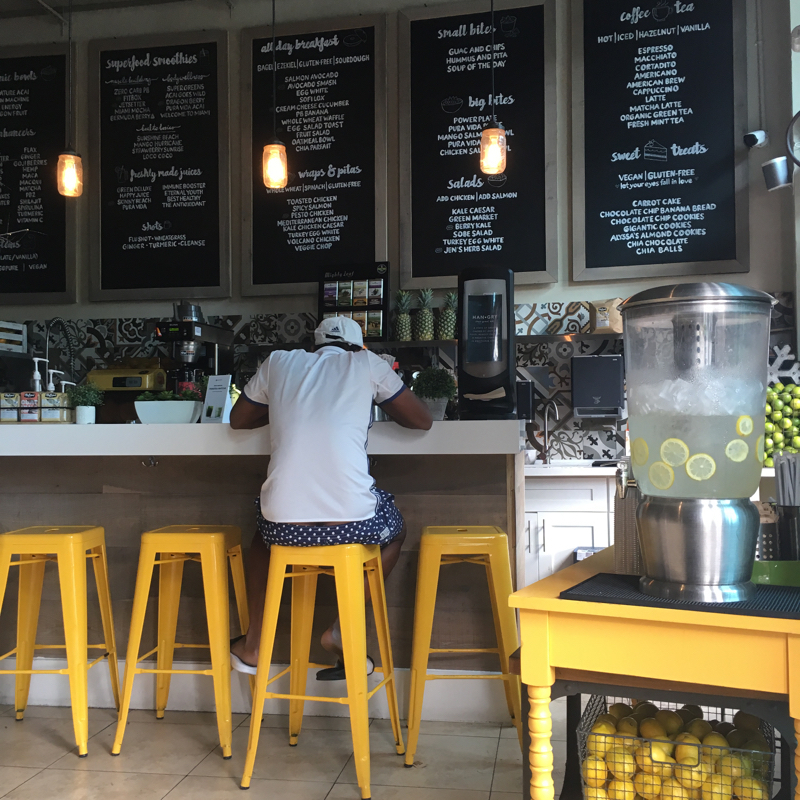 Right by the entrance you get “cold-pressed juices, smoothies, foods, and good vibrations. All made fresh daily with high integrity and mad love.” Follow them on Instagram for pop up yoga classes around the city. DIRT EAT CLEAN Eating clean has become the social media hashtag mania and DIRT tries to offer its own version of clean food. 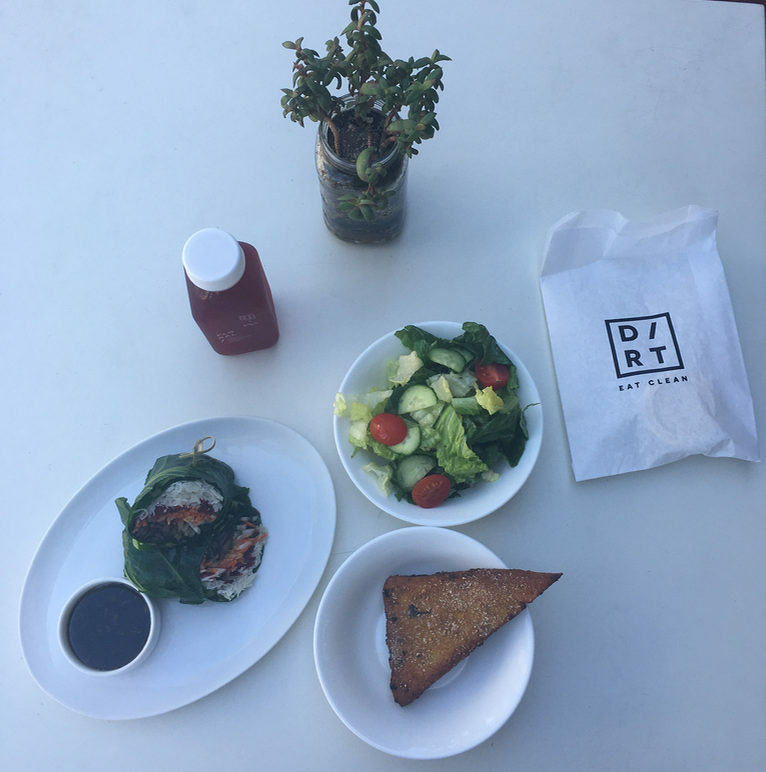 Expect…clean nutritionally balanced meals at DIRT eat clean, with proper labelling attached to the menu summing the calories, protein, far and carbs in each portion, plus gluten free, vegetarian, vegan and paleo icons guiding any specific dieter towards the right match. Locally sourced, but not much organic ingredients, are the only drawbacks of the otherwise sustainably-focused and flavour-packed meals. The portions are the nearest to ideal, not gigantic helpings common at “healthy eating” cafes in the US. I was impressed by adding a more sustainable protein alternative called Adashah, made locally this grilled triangle of goodness from lentils, chickpea flour and flax seed reminded me of grilled polenta. A perfect match to the DIRTy vegan salad, but also wholesomely crowned the seasonal Winter Adashah Bowl. The sour, house-made cashew ricotta should be called vegan crème fraîche, as its tartness was too far off from the soft, rich and sweet creaminess of the Italian ricotta. The Mai Fun vegan wrap was a bit bland. Although, they have breakfast, “cage-free” eggs do not mean much in terms of the chickens’ feed and the resulting nutritional value of the eggs, this is a more ideal lunch spot. Occupying an in and outdoor space across from the Equinox gym, you can burn and then indulge in a “clean” meal. 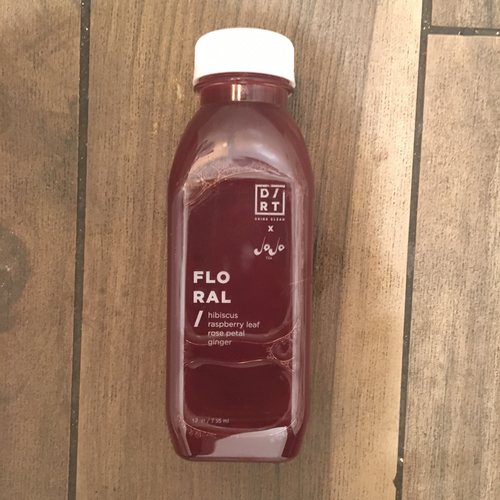 The bottled iced teas are refreshing, sugar-free and creative. Try Sensei of Vietnamese green tea, lemongrass, spearmint and ginger infusion. Daily changing Kombucha on tap by Non-Prophet Brewing sparkles your tummy’s good bacteria. For tea lattes and locally roasted coffees, the local grass-fed milk, house-made-no-cheating almond + brazil nut or coconut mylks. Kids menu accommodates the entire family. 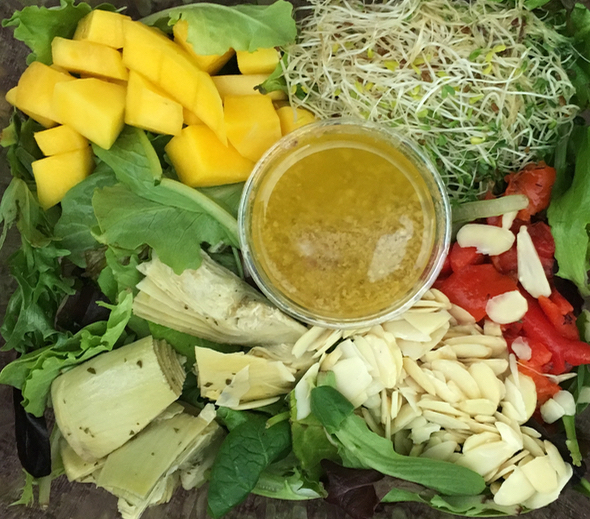 LILIKOI ORGANIC LIVING is the most holistic lifestyle cafe in the Southern-most tip of Miami Beach. A bright, welcoming and beautifully painted room invites on for a lunch or dinner. The plates are quite large so ideal for friends or family sharing. The Vegan kale salad was one of the best I have had to date, not boring, nori and the cheesy tasting nutritional yeast with toasted sunflower seeds added enough flavour, not too heavy-sauced, but tender after a long marinade. 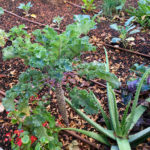 You can add fish, chicken, falafel or avocado as well as a long list of other mostly organic sides at Lilikoi Organic Living, but any plate will do just without. Japan (ramen) meets Tex-mex and some Italian inspirations on the mainly locally sourced and seasonal menu supporting eco-friendly fisheries and discarding any unnatural dairy suppliers. Cheese and dairy feature in many plates so keep the portion under control. The daily gluten-free pizza is tempting, but it does not mean it is any more healthy for you than the regular thin crust. Counter Culture kombucha on tap – strawberry and herb when I sipped on it, while the milkshakes and smoothies make the kids happy. TOCAYA ORGANICA For an evening shopping spree head to the Lincoln Street’s pedestrian-friendly zone, and order customised tacos at Tocaya Organica. The two tacos and two sides is a good deal that makes for a very light dinner. I loved the cotija cheese crumbled on the top, naughty, I wished there was more than the scant amount. The line-caught mahi mahi was fine and organic meat is always a good option, unless you are a vegetarian, for which the vegan taco filling comes as a saviour. 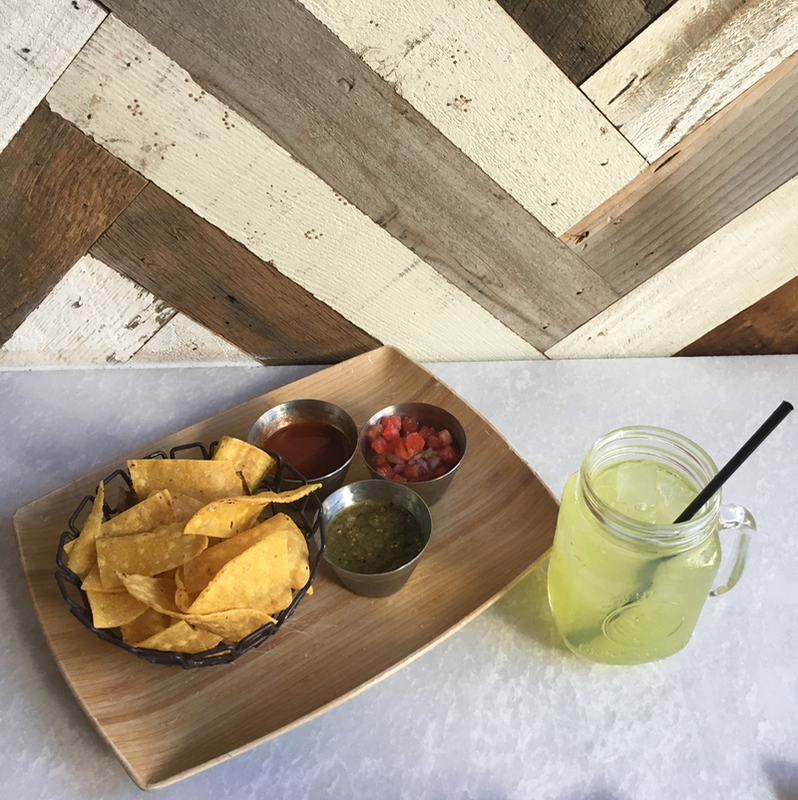 You can even go for a lettuce cup instead of the house corn tortilla, but do not skip the plantain and corn chips with a trio of salsas, since they will blow your mind! The side of refreshing quinoa salad, while simple grilled cauliflower a bit yesteryear. Their salads are too large and get boring with every forceful spoonful. 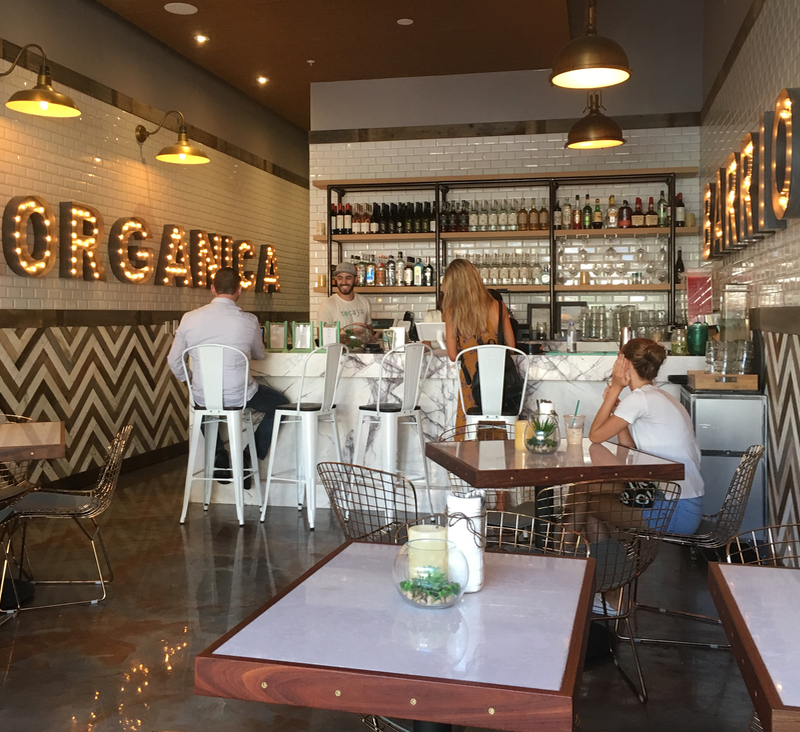 The organic ingredients using local Mexican joint is now reaching East to Los Angeles, with two branches opening just recently. 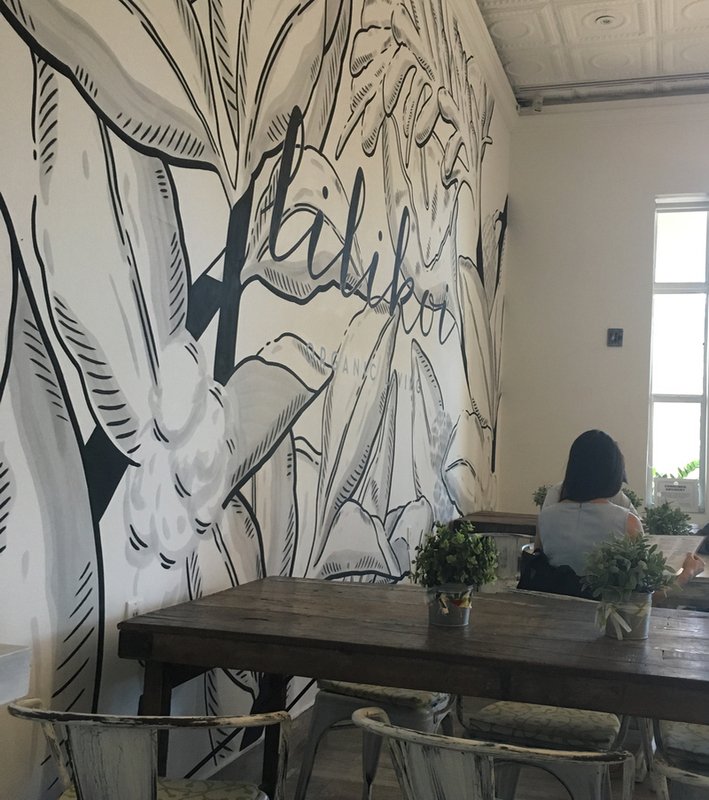 To close any healthful journey, a romantic, candle lit dinner under the wings of palm trees across the bridges in Wynwood is the perfect treat. And you can even have little organic or biodynamic wine with it! PLANT FOOD+WINE by the raw food scion Mathew Kenney is the most elegant healthy dinner setting in Miami. My heart jumped a mile high, when I found out that his vegan raw lasagna that were served at his former cafe MAKE in Santa Monica made it to the menu at this quite new location. The courgette sheets with a succulent tomato sauce, basil and macadamia “cheese” shake any of the heavy, bloating-inducing, carb and dairy-loaded pasta plate. The artful, seasonal, with herbs and flowers adorned servings are what the French nouvelle cuisine was to the cream-based traditional bourgeoise food. The plant-based, ecological and thoughtful cuisine of Matthew Kenney crossed the millennial boundaries of what more restaurants should offer. Santè, to your next stay in Miami!